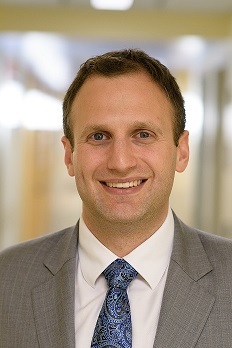 BRIGHTON, MA – Board certified orthopedic surgeons Matthew Werger, MD and Jonathan Cluett, MD, have been named primary surgeons for St. Elizabeth’s Medical Center’s Mako Robotic-Arm Assisted Technology program. A new service offered by the Bone and Joint Center, Mako technology brings increased accuracy and customization to joint replacements. Developed by the medical technology company Stryker, Mako Robotic-Arm Assisted Technology offers the surgeons a higher level of precision than traditional joint replacement techniques. Mako is an innovative technology that uses GPS and 3-D modeling to improve the accuracy of joint replacements. This increased accuracy leads to a lower rate of revision and improved longevity of implants. St. Elizabeth’s Bone and Joint Center now runs two units using Mako technology to provide total knee replacement, partial knee replacement, and total hip replacement surgeries. 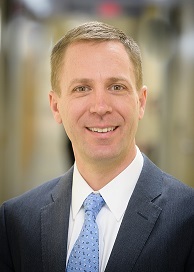 Recruited to St. Elizabeth’s to be the new Chief of Arthroplasty, Dr. Werger graduated from Georgetown University School of Medicine and completed his residency in orthopedic surgery in 2012 at Rutgers – Robert Wood Johnson in New Brunswick, New Jersey. Werger also completed a fellowship in Hip and Knee Reconstruction at Florida Orthopedic Institute in Tampa after serving in the Air Force as an orthopedic surgeon. He is author to numerous articles and book chapters on orthopedics, and he specializes in hip and knee replacement procedures. Dr. Cluett earned a bachelor’s degree in biology from Williams College in Williamstown, MA, and his medical degree from the Columbia University College of Physicians and Surgeons in New York City. He completed his internship, residency, and chief residency at the George Washington University Hospital in Washington, DC, and he completed a sports medicine fellowship at the Santa Monica Orthopaedic Group in Santa Monica, CA. A board certified orthopedic surgeon, Cluett has served as assistant team physician to Chivas USA (Major League Soccer) and the United States men's and women's national soccer teams. For more information, contact the St. Elizabeth’s Medical Center Bone and Joint Center at 617-779-6500 or visit us online at www.semc.org/orthopedics. St. Elizabeth’s Medical Center is a major academic medical center affiliated with Tufts University School of Medicine. Areas of medical excellence include vascular and endovascular surgery, cardiology, neurosciences, general and robotic surgery, bariatric surgery, women’s health, high-risk obstetrics, bone and joint health, hematology/oncology, pulmonary medicine and emergency medicine. St. Elizabeth’s is a member of Steward Health Care. Visit St. Elizabeth’s online at www.semc.org.